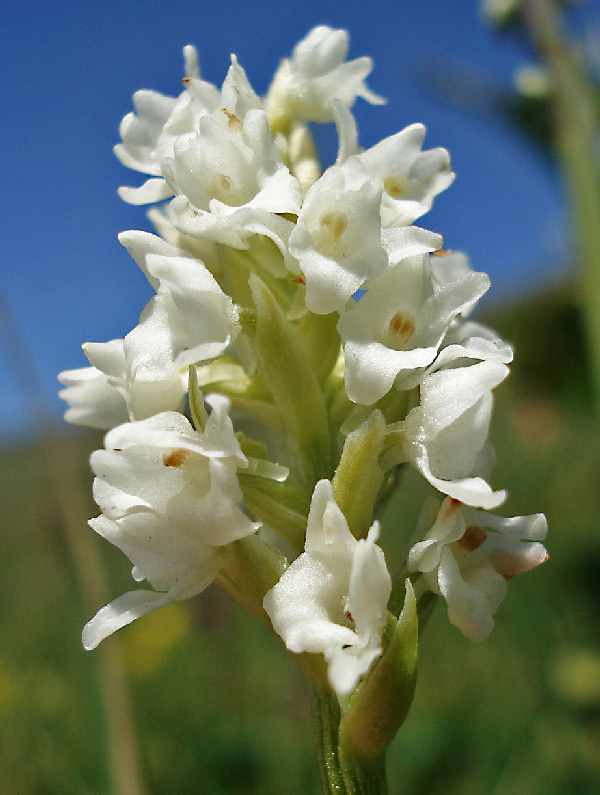 Gymnadenia frivaldii is named after the Hungarian botanist Imre Frivaldszky von Frivald (1799-1870). The plant grows to a height of 10 to 30 cm. It has 3 to 7 foliage leaves which are broad-lanceolate. The inflorescence is rather short, but has 10 to 50 small flowers. They have a short shorter spur which is directed downwards. Petals and the middle sepal form a small hood. The lateral sepals are spreaded. The labellum is vaguely three-lobed and bent downwards. The plant was first described by the German botanist August Heinrich Rudolf Grisebach (1814-1879) in Spicilegium florae rumelicae et bithynicae (1846) which was later precised by Ernst Georg Ludwig Hampe (1795-1880). The flowers of Gymnadenia frivaldii are pale-rose. Plants with pure white flowers are rare. 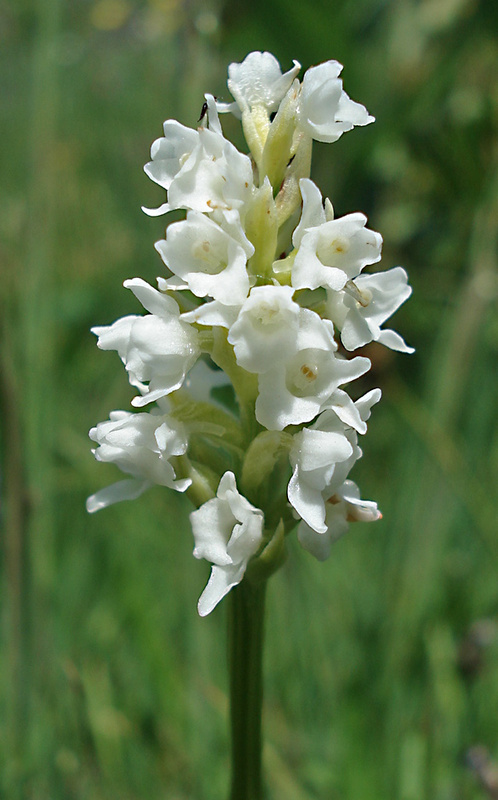 Gymnadenia frivaldii can be found on wetlands of the Balkan region, mostly in higher regions up to 2300 m. It flowers from June to August.